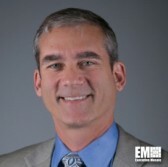 ExecutiveBiz talked with Greg Wenzel, executive vice president, about his work in C4ISR, the future of the U.S. Army’s digital transformation, and where he sees Booz Allen Hamilton providing solutions as an open systems integrator. ExecutiveBiz: You have a diverse background working with different government agencies. Please share some highlights from your career that have prepared you for your current responsibilities at Booz Allen Hamilton. Greg Wenzel: Throughout my career, I’ve focused on helping defense clients achieve enterprise efficiency through the continued transformation of IT systems. I’ve worked with Army, Navy, Air Force and other defense clients across the C4ISR enterprise with a focus on helping them become more open and integrated. In my role at Booz Allen, and in previous roles supporting DARPA, DIA, DISA and many others, I’ve found that federal clients often have similar challenges, and when we break down silos, we’re able to solve problems together. Of course there are unique challenges within agencies, but there are often opportunities to collaborate and find best practices to common problems as well. Helping clients solve those challenges in support of their mission is the highlight of my career. ExecutiveBiz: What do you see as the biggest challenges the Army faces in enhancing their C4ISR initiatives? Greg Wenzel: Integrating at the onset is crucial if the Army wants to complete IT modernization effectively, for C4ISR as well as other mission areas. The Army is beginning to look at vendors with pre-developed platforms and services instead of developing custom solutions, which can deliver substantial savings and flexibility. But it can still be challenging to secure integrated solutions across the entire C4ISR enterprise without conducting one-off acquisitions. Right now, the Army’s biggest challenge is figuring out how to accelerate the acquisition process to achieve capabilities more quickly. Once that happens, there will be lots of industry products and solutions presented and the challenge will be sorting through the range of offerings. Having an integration framework of how these things will connect and enhance mission effectiveness will be critical to selecting the right products and solutions. ExecutiveBiz: As the volume of intelligence\data grows significantly and rapid analysis and dissemination is critical to mission success, what role do you see AI and machine learning playing in improving the analysis process? Greg Wenzel: Augmented reality, virtual reality and artificial intelligence or machine learning-based software offer a lot of opportunities. AR can be a tool in the field while VR can be used for immersion in training. It’s important to understand the best application for these technologies, too; for example, you probably don’t want to use VR in the field – you don’t want to obscure a warfighter’s vision in combat. As we’ve built more collection systems over the last 15 years, we’ve developed new sensors for gathering data, necessitating greater AI capabilities to sort through all this information. We need more automation to help synthesize data that can then be presented to analysts and warfighters leveraging AR, using triggers or alerts to pinpoint actionable intelligence. ExecutiveBiz: Where do you see Booz Allen Hamilton delivering the most value to the warfighter? Greg Wenzel: At Booz Allen, we’re not a traditional seller of copies of products; we’re an essential open systems integrator, which is where we deliver the greatest value. This means we understand the mission first and then bring in the appropriate vendors and technologies to create integrated solutions to solve the military’s toughest problems. Having an open architecture with a set of APIs [Application Programming Interfaces] allows our clients to get the best of industry in an integrated but modular fashion. For some platforms a sole manufacturer is required – for example, with the manufacture of aircraft and tanks where you need all the parts to originate from a single source. However, when it comes to warfighting and digitally intensive systems like C4ISR, you need to be connected across the spectrum of industry because there is no silver bullet solution or product that will meet all the requirements. Being platform agnostic means our clients can get the best solution from every provider, which only benefits the warfighter. Before leading Booz Allen Hamilton’s Army division, Greg Wenzel oversaw the company’s digital solutions initiative, working with the Internet of Things. He also served in the Army National Guard for eight years, where he attained the rank of captain.